With all the great cakes on the site, I thought I'd share one from my collection. 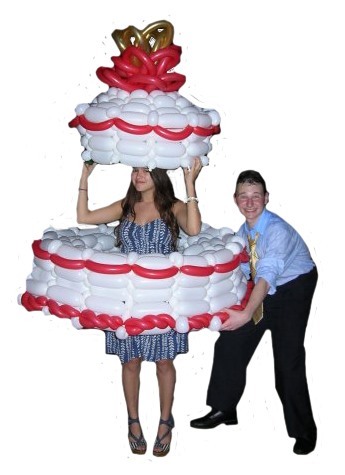 Straight from the Make Balloon Animals World, I wanted to share this giant balloon birthday cake. This gentleman got his wish for his birthday... A giant cake AND the girl of his dreams.